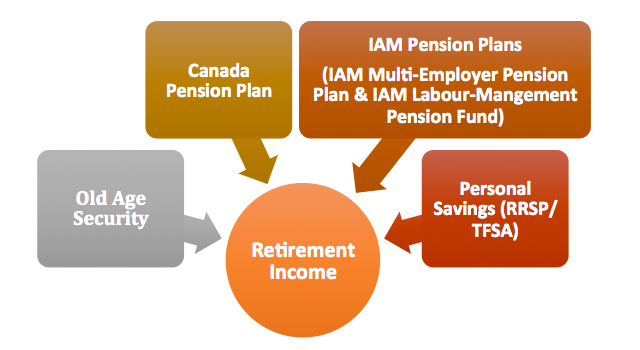 On June 20, 2016, the Federal Government and the finance ministers of eight provinces agreed to expand the Canada Pension Plan (CPP), starting on January 1, 2019, and to be fully implemented by 2025. The provinces of Quebec and Manitoba did not sign the agreement. This article in an overview of the reform. Another article with practical examples will follow. Depending on your age group, your benefits will differ. Please note that in order to earn the maximum benefit, a worker will have to contribute the maximum amount for 40 years, once the new system is fully phased in after 2025. Overall, these change are good because they will help lower income workers when they retire. The priority of the IAM is to pursue the fight for better pensions for our members and for all the workers.